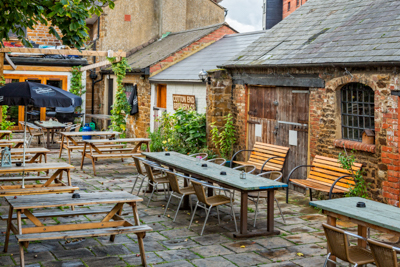 The Pomfret Arms garden is one of Northampton’s little secrets. 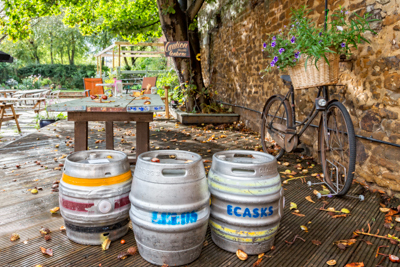 The bar’s handmade charm continues in the pub's outdoor space with its different seating levels and eclectic mix of hand-made tables, beribboned jam jar tea-light holders, ice-bucket planters and bicycle plant-stands. 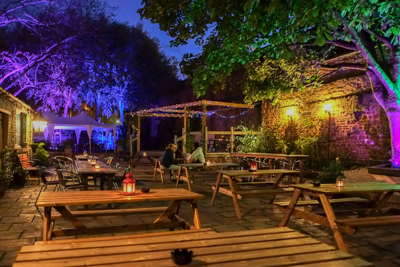 The Pomfret Arms garden is the perfect space for live music and outdoor events, and for al fresco drinks in the summer. 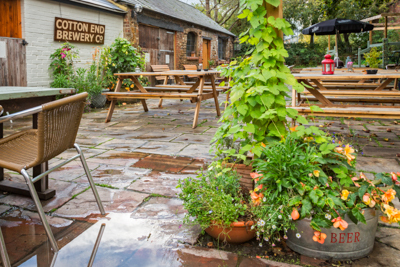 Even when the weather isn’t warm enough to sit outside, it’s still worth a look. The dramatic lighting scheme makes the garden simply magical in the evening. The backdrop to all of this is the planting. 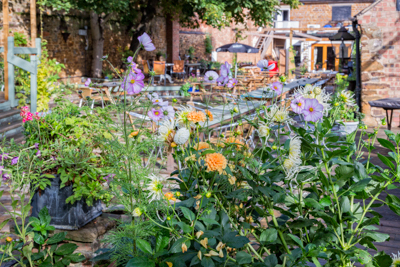 From cottage garden to urban courtyard, the Pomfret Arms garden is home to a diverse range of plants. Throughout the spring, summer and autumn, the garden is a riot of colour, but look past the big blousy blooms and you’ll find shy woodland flowers, fresh figs, and hops scrambling up every upright. 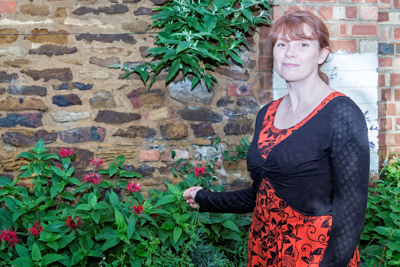 “It’s the high walls and mature trees that make the garden so special,” says Katherine, the Pom’s garden designer. “They give the garden its very own microclimate, which makes it possible to experiment with different plants." And the plants are more than simply decoration. 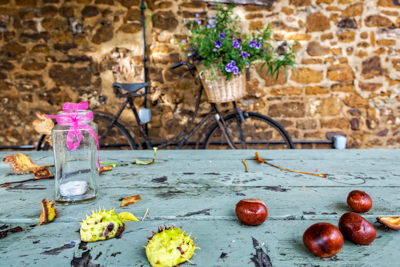 Horse-chestnut trees provide shelter in the summer and glorious colour in the autumn, not to mention the materials required for the pub’s annual conker fest, just one of the many outdoor events held in the garden. 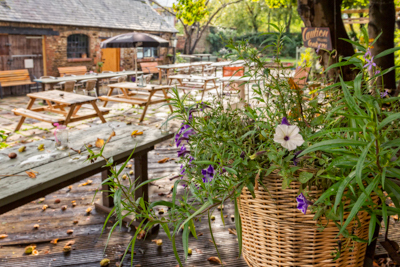 The garden stage is a lovely setting for live music and poetry events, and when the weather’s not suitable, the barn provides the perfect shelter.